Israeli prospect Deni Avdija keeps impressing as he earned the Basketball Without Borders camp MVP. The Basketball Without Borders (BWB) camp ended today (18/8) and young Israeli prospect Deni Avdija was named the MVP. The 17-year-old guard is currently a Maccabi Tel Aviv player as he signed a six-year contract last year. He became the youngest player ever to step on the floor for Maccabi with 16 years and 320 days of age. 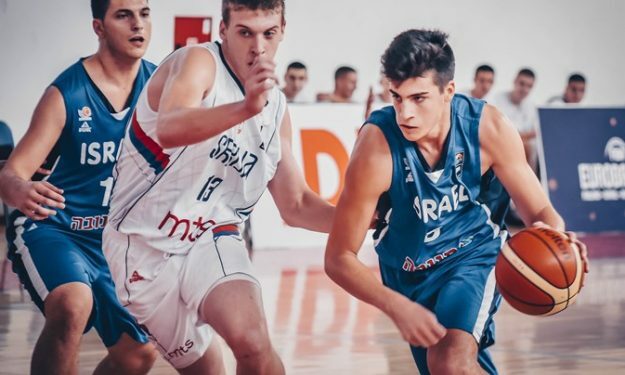 Avdija has also been busy this summer as he played for both U20 and U18 Israeli national teams in 2018 European Championships before joining the BWB camp. He averaged 12.7 points, 6.4 rebounds and 1.1 assists with the U20 Israeli team helping them win their first ever gold medal in a FIBA tournament and was selected in the All-Star five of the tournament.